Find out what happens once you’ve placed your circuit board assembly order. 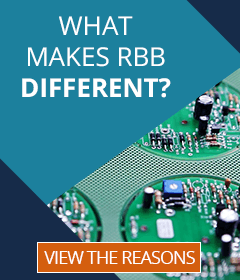 Once we receive an order for a new or recurring PCB assembly, RBB applies a rigorous process. Due to our chosen market niche (short run electronic assemblies), we've had a lot of practice honing these skills. It’s fairly common to launch several new products—or newly revised products—each week. 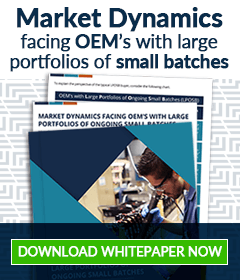 Since customers can rarely predict the timing of their demand, the clock is ticking to get everything in place for production readiness. We make sure your first order is flawless so when recurring orders are required, we’re ready. 1. Confirm whether changes or revisions have taken place since our proposal was presented. 2. If the product is to be run on surface mount technology (SMT) equipment, we compare the quantity of boards ordered with the proposed panelization and make adjustments if needed. 3. Contact suppliers ASAP to update component lead times and place orders for long lead-time items (which have likely changed since proposal time). Drafts of the assembly and test procedures are written. A member of the quality engineering team is on hand to witness production, work through issues, and make notations for future quality assurance measures. Quality engineering hosts an internal review with all the departments involved to capture lessons learned. Sales follows up with a client satisfaction survey, the results of which are used to further continually refine our order-fulfillment process. Assembly and test procedures are finalized and locked down so the next order can proceed without delay. Residual inventory, if any, is then identified and handled per the original proposal.